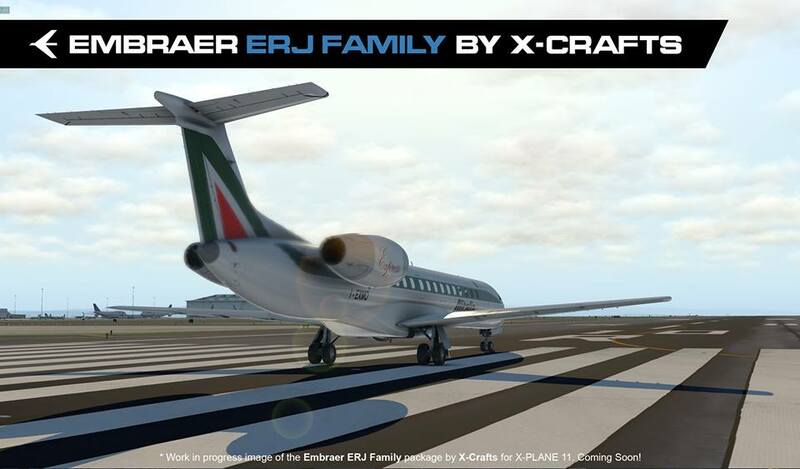 Progress on X-Crafts' ERJ series family is moving fast. 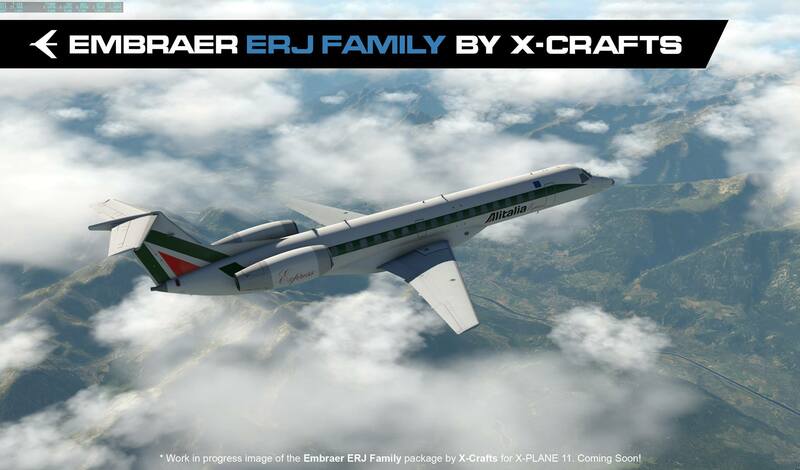 The aircraft was announced just 5 months ago and is now moving into the beta phase, after a request for beta testers went out not too long ago. "On a scale from 0 to 145, how excited are you? ;) I just finished this livery a few minutes ago! Still WIP and a lot of work missing in the textures, but it's shaping up quite nicely! (in fact I totally love the plane already). 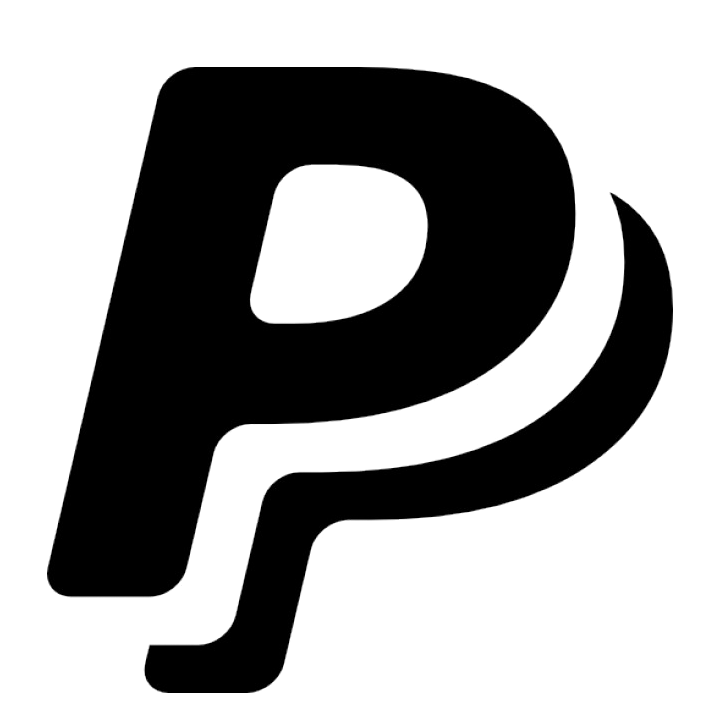 Working on it day and night! 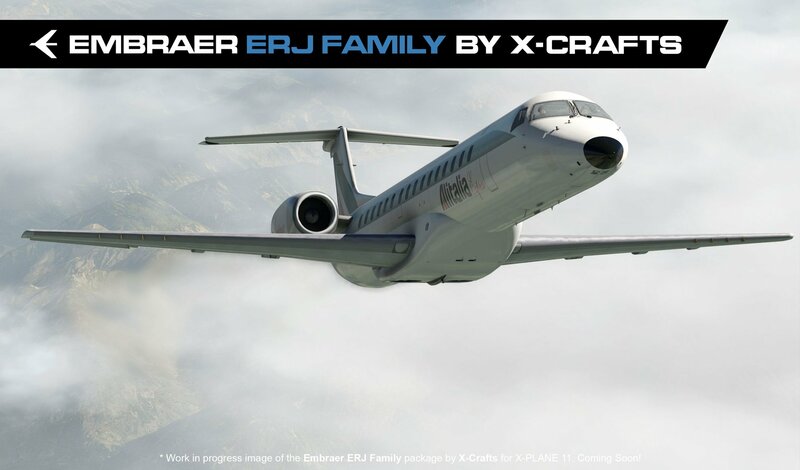 And in the meantime I am talking to a group of real ERJ pilots who are helping me make this product as good as it can be! They are all really excited so far and so am I!" 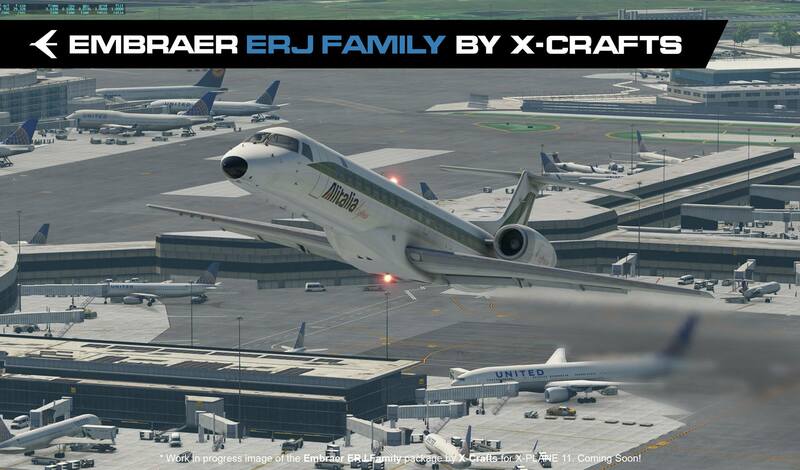 These are the first in-sim exterior shots of their ERJs, following on from cockpit previews not too long ago. To see more, check out the X-Crafts Facebook page.